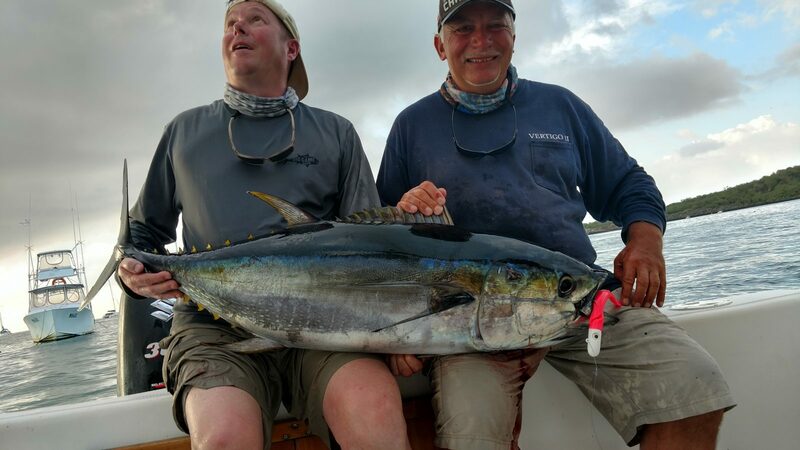 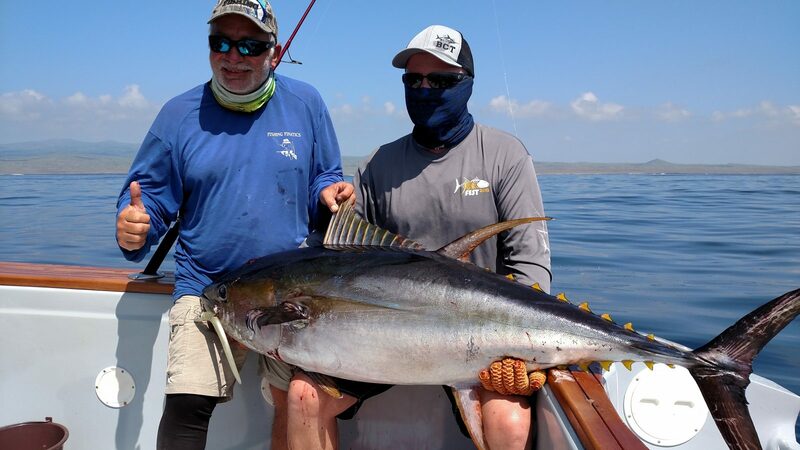 Big yellowfun tuna can be caught all year long and can either be trolled or targeted using popping plugs on spinning tackle. 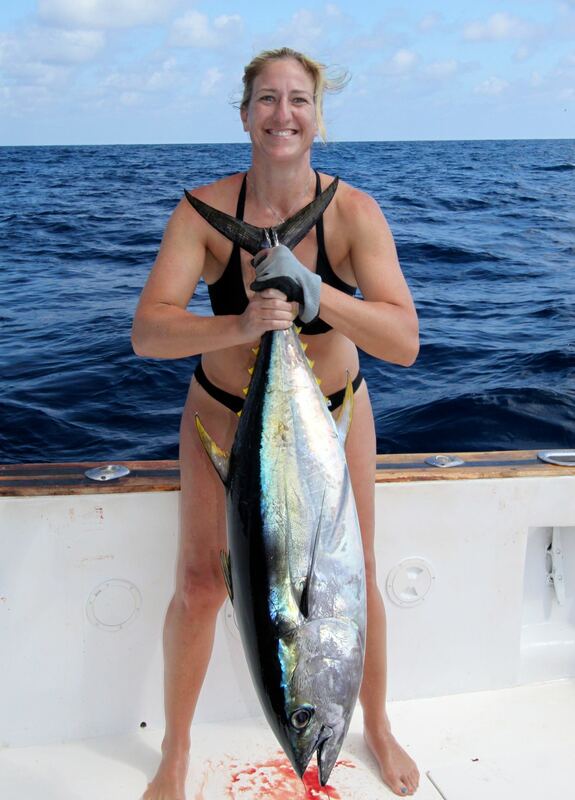 Though fish in the 100lb+ class are common, most of the fish range from 30 to 100lbs. 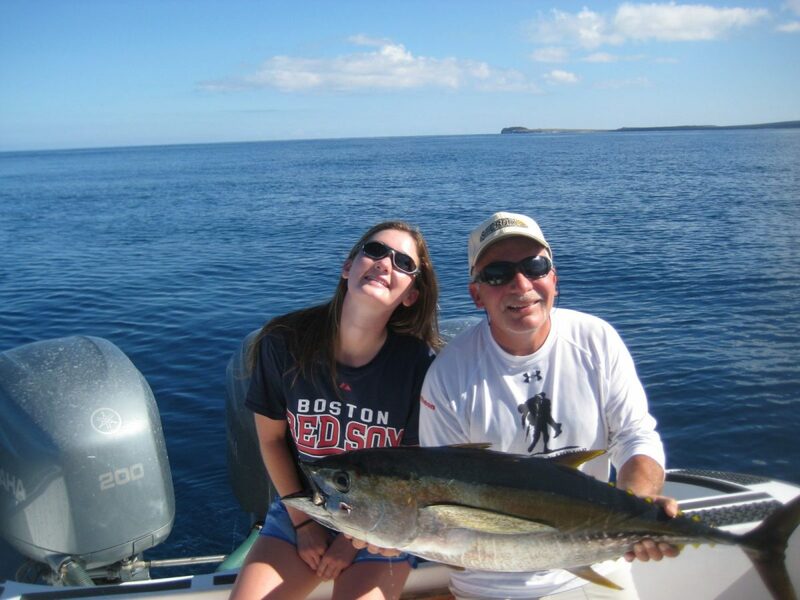 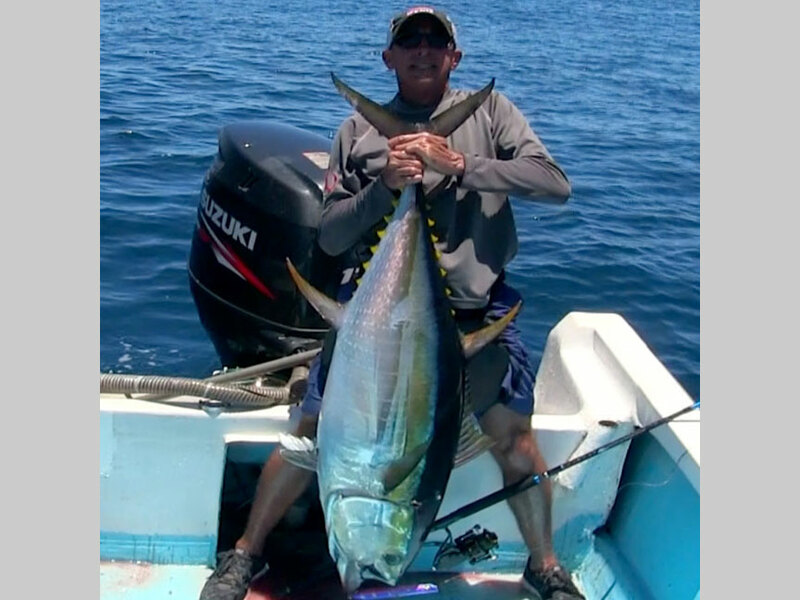 All traditional tuna trolling lures are effective and 30-50lb class tackle is preferred. 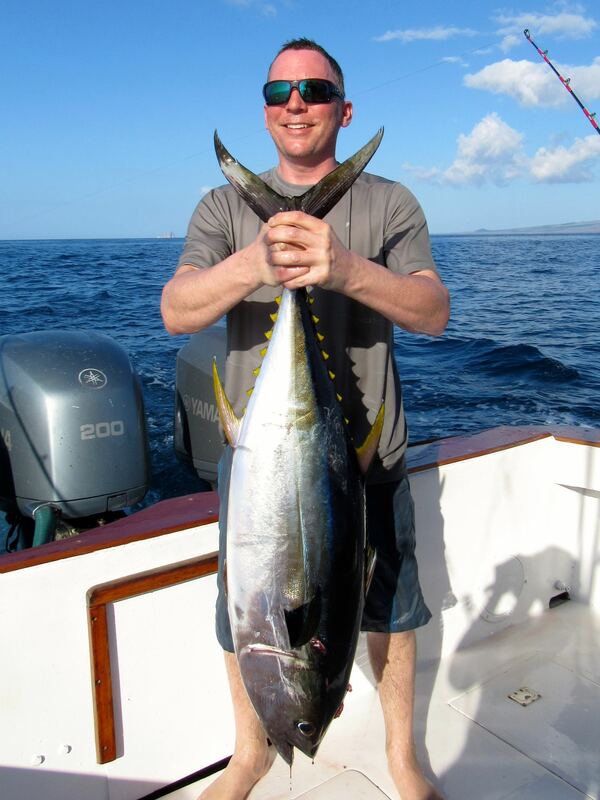 However, spinning tackle (rated for 50lbs and above) and popping plugs make for the best experience. 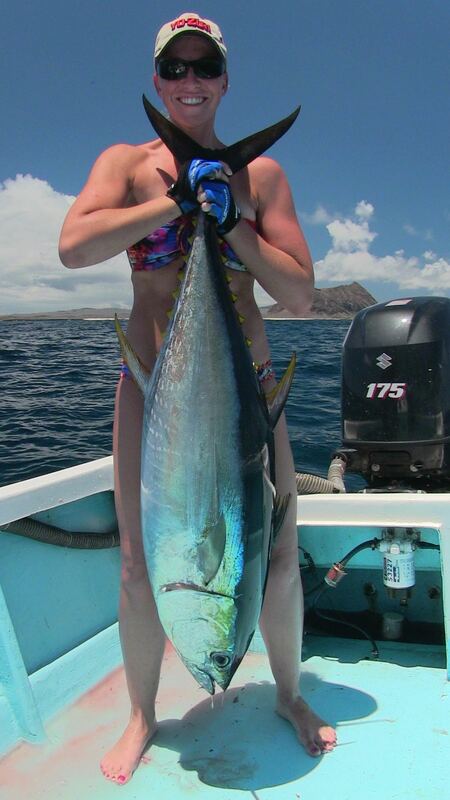 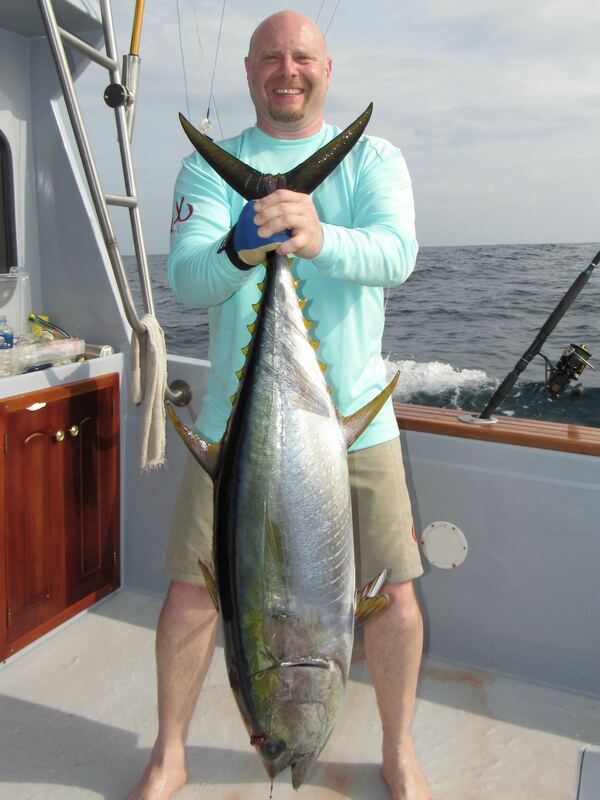 The tuna are usually found blowing up bait on the surface and stay up long enough for the anglers to cast into them. 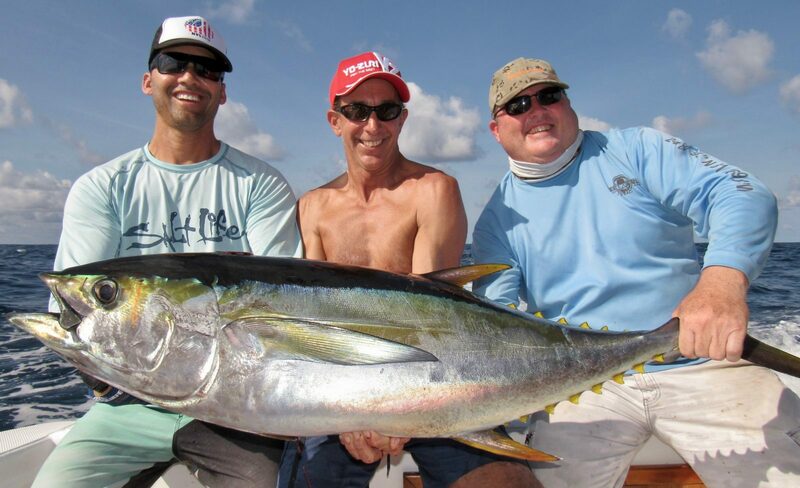 It can be challenging at times and put even the most experienced angler to the test. 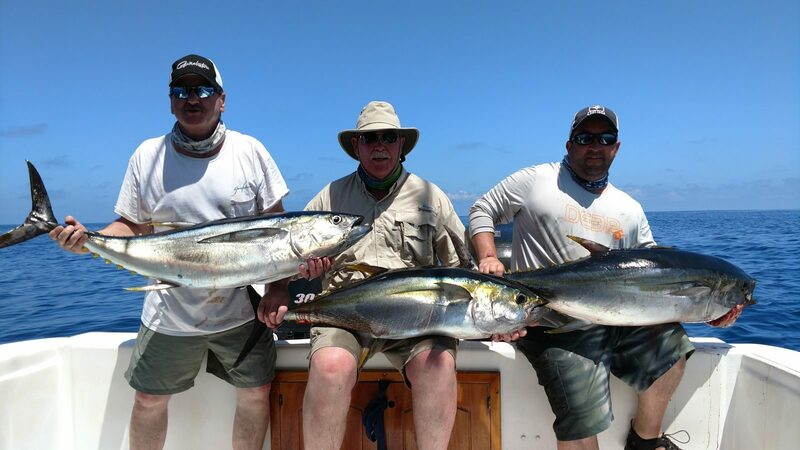 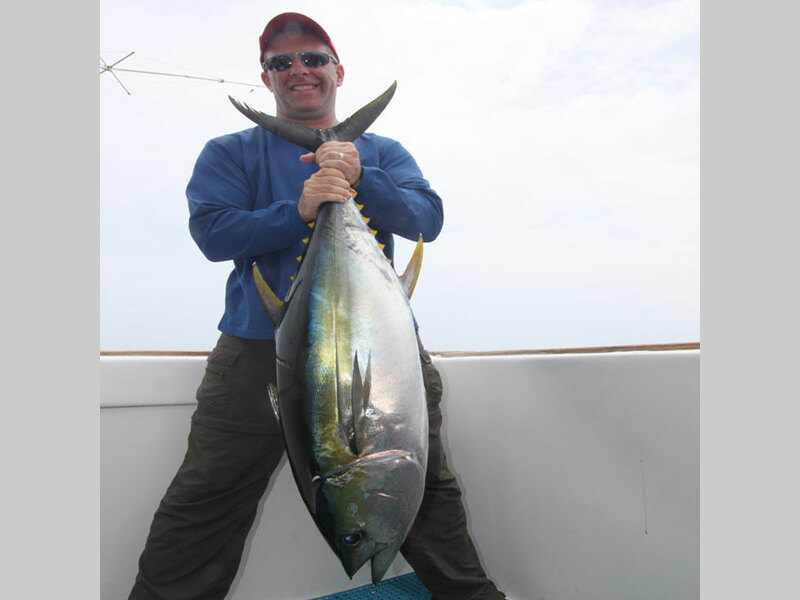 Learn everything you need to know by visiting the Yellowfin Tuna Plugging Guide on Northeast Angling. 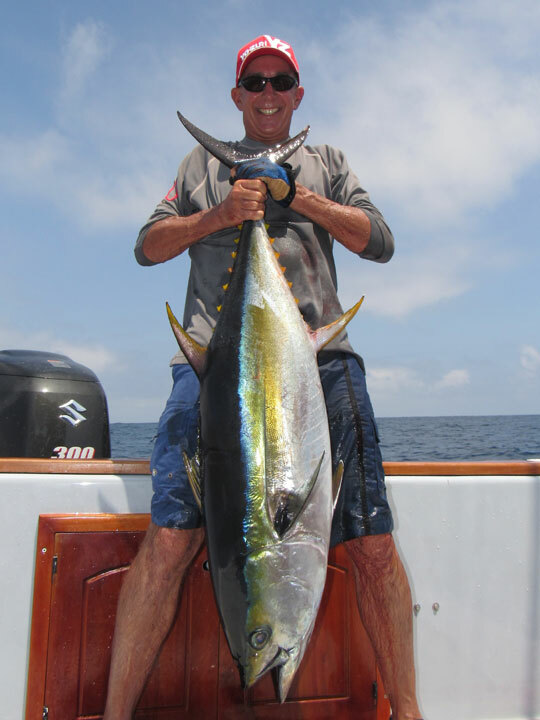 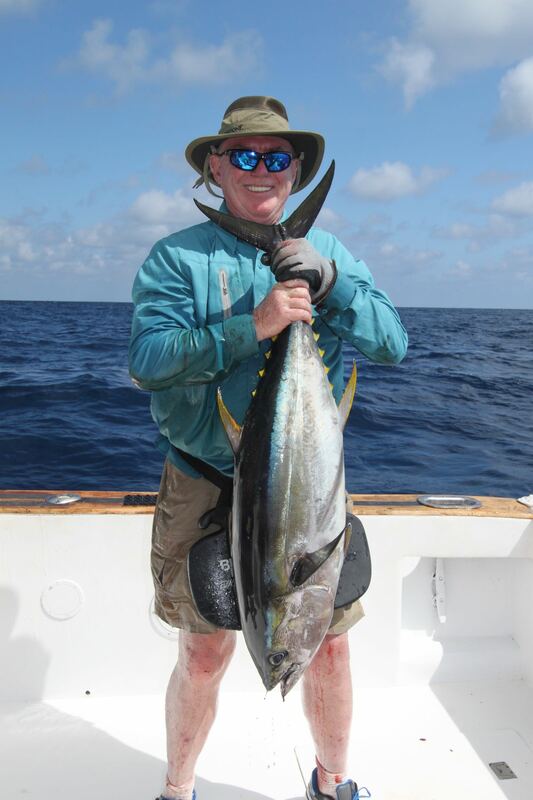 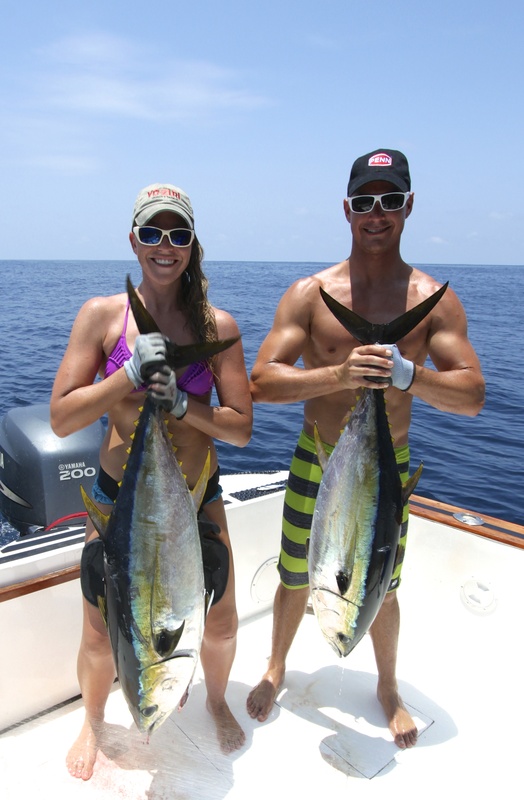 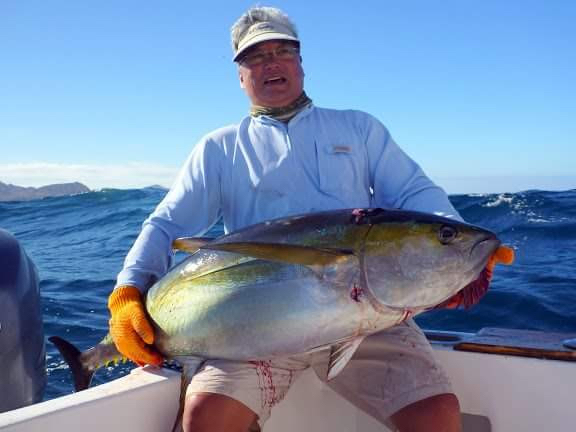 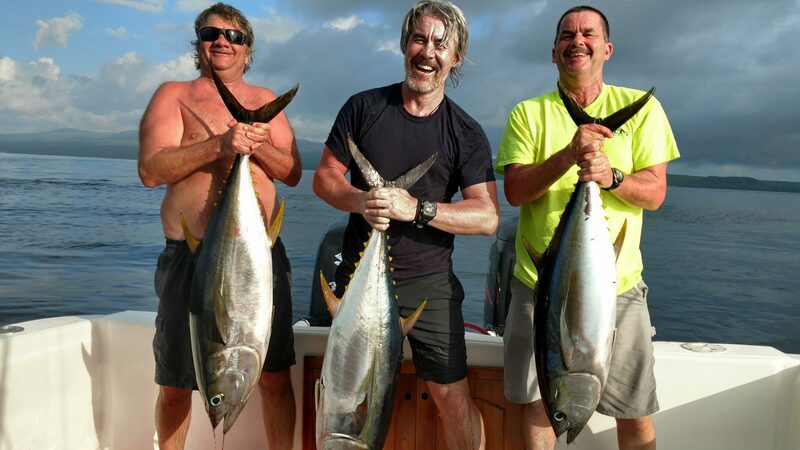 The page includes a full length video guide for targeting big yellowfin tuna on poppers.